Moving Safety should be a #1 priority for anyone going through the relocation process. Moving is stressful enough on its own, but an injury or incident can multiple the stress levels moving causes exponentially. Oz strictly trains its movers with a safety regiment to ensure that our jobs are not ruined by injuries to our crews or anyone around the moves. We are happy to now share these protocols with you to help you prevent a moving day catastrophe that threatens you or someone helping you move’s safety. There are so many reasons why movers should never work alone. Communication is perhaps the biggest advantage of a moving team; another set of eyes and ears can help identify any potential pitfalls during the move. This dynamic only works if the moving team is prepared to guide their partners however they can. Like with other physical activities, stretching before a move can be effective in preventing muscle cramps and other injuries. It’s especially important to stretch your legs if your move involves going up or down stairs, or involves a long carry process. Make sure the box being used to move an item is built to withhold a lot of pressure. With long distance moves especially, items will put a lot of strain on boxes which can cause many weaker boxes to lose support. If a box loses support while being carried, it could cause damage to the items inside and the carrier. Most heavy items, like furniture, televisions or beds require more than one person to carry them to get them moved anywhere, even a few feet. Even with another person on the team, proper lifting technique is still important in preventing injury. “Simultaneous” lifting is key, as the two forces used to move these heavy items need to work in tandem. If one person is putting down or lifting an item when their partner is stagnant, both are at risk of injuring themselves. Use a simple “3-2-1” countdown before picking up or lifting an item to keep in sync, and always communicate with your lifting partner if your motion is going to change while transporting a heavy item. Most people are familiar with this saying, and it’s no joke: a proper lifting body motion can help fend off pain and injury during and after a move. At Oz, we say “lift with your knees”, because that is the area of the body where the work is really taking place. To pick up items, movers should squat, and not bend with their backs. Moving is a stressful process, as we said, so it’s easy to understand wanting it to be over ASAP. But it is very important to take your time in certain situations, especially in tight clearance areas, and going up and down stairs. It is very common that inexperienced movers handling an item closer to the top of a staircase can “push too much” onto their partner on the bottom, which could cause a painful injury. In this case, movers need to literally go “one step at a time”. The extra time spent making sure a move is being handled properly is much less than the time you’ll spend in recovery if something goes wrong. Think ahead when dealing with any debris or excess items. If they become obstacles that movers can trip or slip on, they can cause a gruesome fall. Clear the path for a move before lifting anything; items like packing tape, boxes, box cutters, dollys and others should either be stored or disposed. In moving, cleanliness is a big key to safety. Some items are more likely to cause problems than others - such as fragile items, non-symmetrical items, oddly shaped items, or extremely heavy items. Gripping and lifting most household items is easy, but not everything can be handled with the same technique. When in doubt, try reading our blogs on moving tough stuff, or conduct a simple google search on your item. The best way to prevent a moving injury is to have someone else move for you. 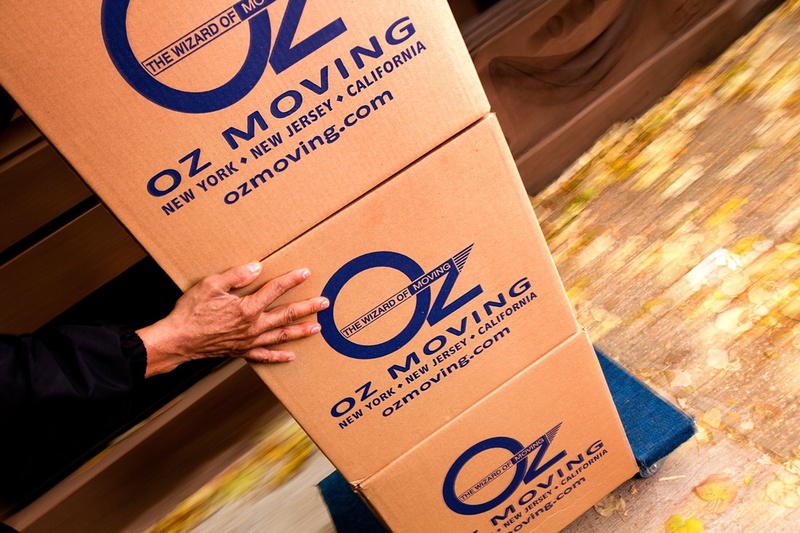 At Oz Moving, our movers are trained and experienced to prevent injuries and damage during a move. Moving companies familiar with the most common layouts and idiosyncrasies of the housing in the area they move around in, so they are familiar with the most common mistakes and slip ups people make and know how to prevent them.